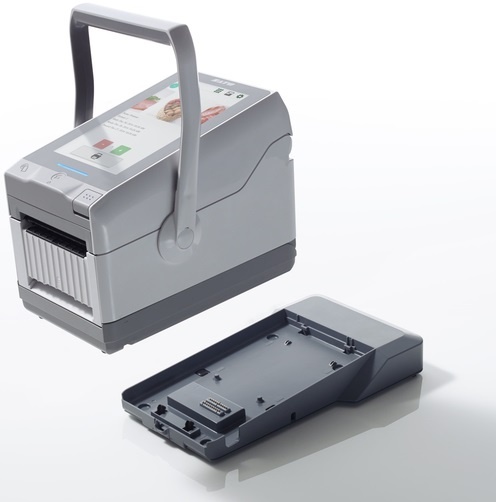 SATO FX3-LX 3" Standalone Label Printer - is a award-winning SATO FX3-LX for the next-generation label printer that is suited to a wide range of industries due to its highly-customisable application technology and ability to adapt to its environment. The device's intuitive printing applications are easily accessed via a 7-inch TFT full colour touch screen, which offers users the familiar feel of using a smartphone or tablet. If in doubt, users can choose from 14 pre-set training videos, which demonstrate media loading, parts replacement, option installation, cleaning and more. The FX3-LX's Application Enabled Printing (AEP) platform allows the device to be used as a PC-less, online or standalone printer, giving users full autonomy when printing labels for sectors including Food, Retails and Manufacturing and Logistics. The device is compatible with SATO Online Services (SOS) a cloud-based proactive maintenance solution that provides propt support and eliminates unnecessary operational downtime, whatever the application.